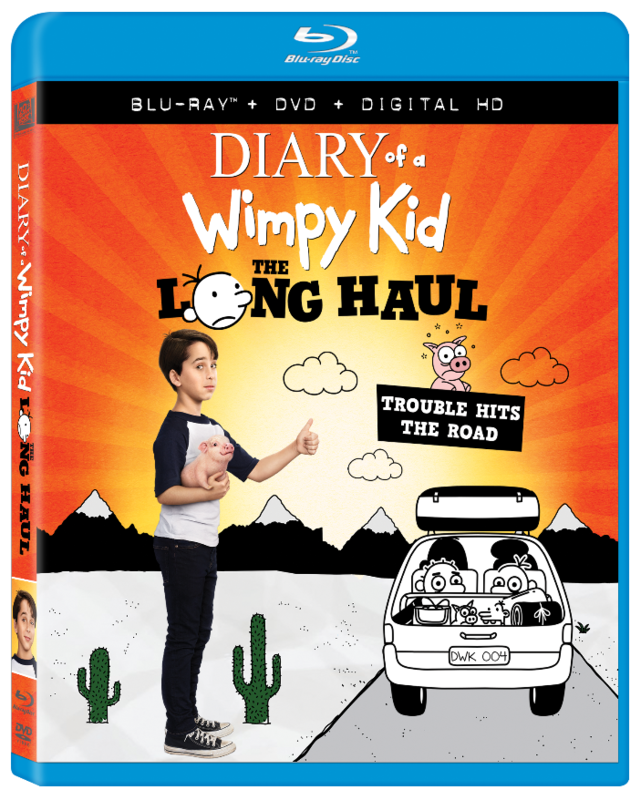 Diary of a Wimpy Kid: The Long Haul Available on Blu-ray™ and DVD August 8th! Pack your bags and load up the minivan for more fun with new laughs and new hilariously “wimpy” mischief! In Diary of a Wimpy Kid: The Long Haul, the Heffley family road trip to Meemaw’s 90th birthday celebration takes a wild detour thanks to Greg’s newest scheme to attend a video gaming convention. Based on one of the best-selling book series of all time, this crazy, cross-county adventure turns into an experience the Heffleys will never forget! Two movies for the price of one! When fans purchase Diary of a Wimpy Kid: The Long Haul they will also see where the fun began, with a bonus copy of the original Diary of a Wimpy Kid on Digital HD! This offer will be available for digital, Blu-ray and DVD preorder purchases before August 1st. After August 1st, it is only available with a purchase of the Blu-ray or DVD.